CNN International Commercial today announces an affiliate and consultation agreement between Turner Broadcasting System Asia Pacific, Inc., the distributor of CNN International in the Asia Pacific region, and Spring News Corporation Co., ltd.
As part of the multi-year agreement, Spring News will broadcast CNN content and programming subtitled in local Thai language. In addition, Spring News will also receive consulting and extensive training from CNN to support their re-launch. 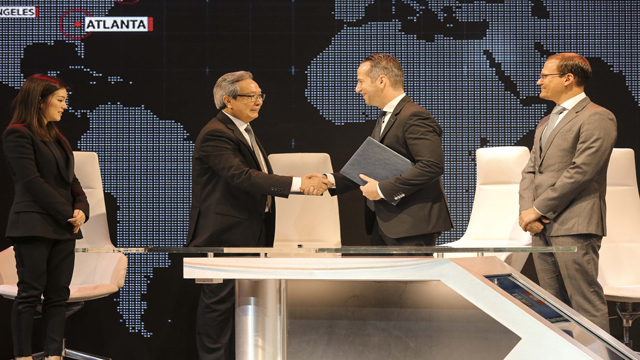 This affiliation will enable CNN International to leverage the resources and expertise of Spring News to strengthen its news coverage of Thailand. About Spring News Corporation Ltd.
Spring News Digital TV, Channel 19, is Thailand’s leading premium news station. We provide the facts and mainstream headlines in every aspect along with in-depth analysis. Spring News expands its wings to many more media platforms, such as Spring Radio on 98.5 FM and Thansettakij Newspaper. With all forms of media at hand, we consider ourselves leading the way through the power of multi-platform, making us Thailand’s leading and largest multimedia provider. We stand proud of our commitment to meet the ethical standards and integrity of our industry by providing our audience with top-notch journalism. Spring News stands ready to leap forward in 2017 by joining forces with strategic partners to strengthen our position and access to premium content. To date, we are the sole multi-platform provider of carefully curated and creatively produced content in the Thai market.